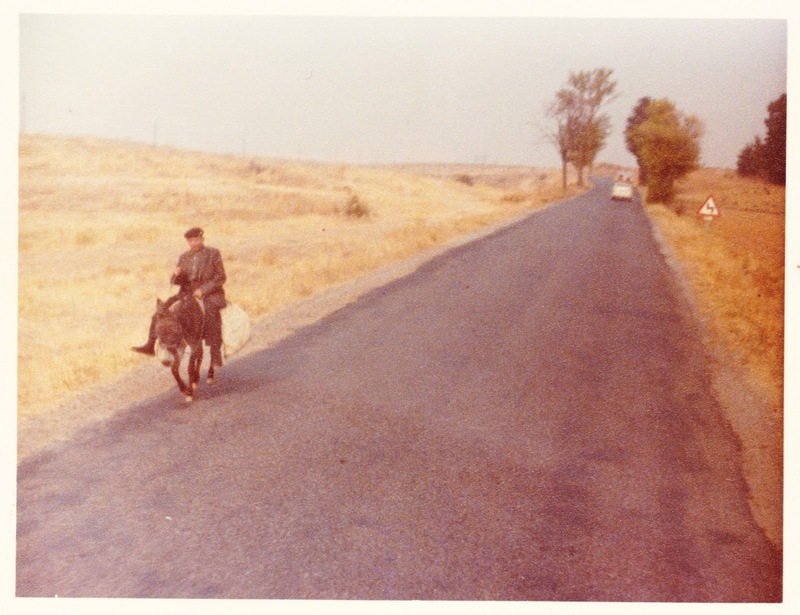 Back on May 25, I had a quickie post featuring one of my grandmother's photos from her 1978 trip to Spain. Here are a couple more items of ephemera related to that trip thirty-seven years ago. 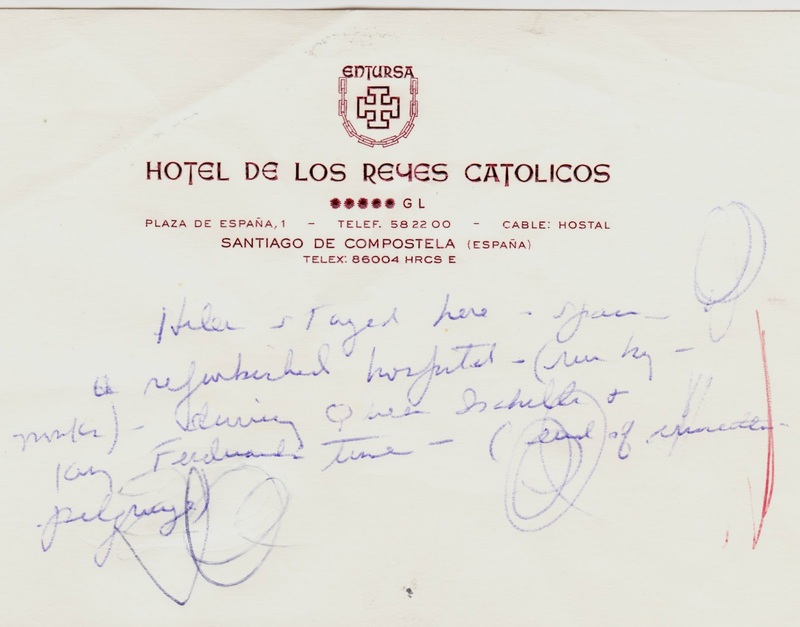 First up is some letterhead from "Hotel De Los Reyes Catolicos" in Santiago de Compostela, Spain. This is actually Hostal dos Reis Católicos, a 15th century edifice that was once a hospital and is now a luxury hotel that features a restaurant in what was once the hospital morgue. "Helen stayed here — Spain — refurbished hospital — (run by monks [?]) — during Queen Isabella & King Ferdinand time — (end of [?] pilgrimage)"
Here is the hotel's current website, if you're planning a trip. The hotel notes that its restaurant offers "dishes created using fish and seafood from the rias of Galicia, beef and vegetables paired with traditional cheeses such as O Cebreiro, and exquisite desserts like filloas (crêpes) filled with apple compote and crème brûlée or traditional tarta de Santiago (almond cake)"
Meanwhile, here's another snapshot from my grandmother's trip. 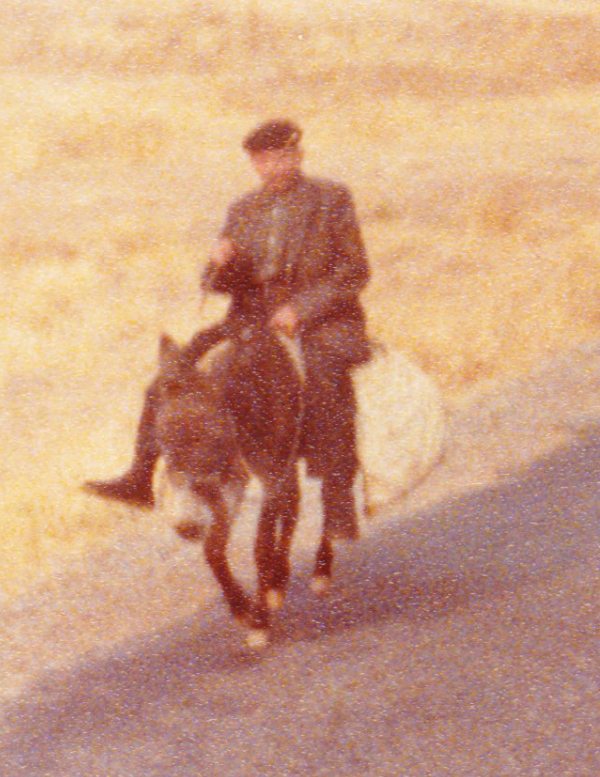 A guy on the donkey. Nicely framed shot, too. I'm guessing it was taken from the back window of the tour bus.